Some estimates suggest up to 40 percent of the population suffers from at least some level of underactive thyroid. Women — especially older women — are the most susceptible group for developing hypothyroidism. People who are elderly or who have other existing auto-immune diseases — like Type I diabetes, rheumatoid arthritis and lupus, for example — are also at a higher risk. The thyroid gland is located at the base of your neck and is shaped a bit like a butterfly that bends around the bottom of the throat. The thyroid is one of the largest glands in the body and is connected to the way every organ in the body functions. The thyroid controls pretty much most metabolic systems in the body specifically how quickly the body burns energy. Thyroid Stimulating Hormone (TSH) is a hormone that controls thyroid gland. TSH is produced by the brain’s pituitary gland, but stimulates production of the hormones triiodothyronine (T3) and thyroxine (T4) in the thyroid gland. An underactive thyroid/hypothyroid is when the gland doesn’t produce enough thyroid hormone (T3 and T4). 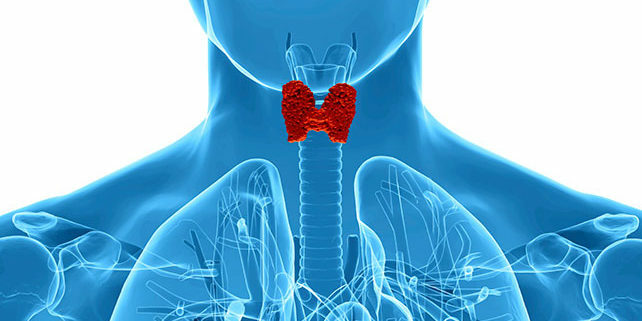 Hashimoto’s Thyroiditis (an autoimmune disease) is by far the most common form of hypothyroidism in the Western world. The signs and symptoms of hypothyroidism vary depending on the severity of the hormone deficiency. The amount and balance of these hormones (T4 and T3) affects almost every physiological process in the body, particular your body’s metabolism. T3 is the thyroid hormone that is responsible for your body’s metabolism. When it is low or suboptimal, your metabolism is low. When it is high, your metabolism is high. But in general, any problems you have tend to develop slowly, often over a number of years. If you suspect that you may have an underactive thyroid, your doctor or dietitian can send you for a blood sample that measures the thyroid hormones. It is as simple as that. Please contact the rooms if you would like for us to send you for a blood test or discuss this at your next appointment with your Dietitian. Treatment of your thyroid problem would be based on the blood test results of your thyroid’s function. The treatment of hypothyroidism is mostly a prescription of the synthetic form of the thyroid hormone. Your physician or GP would determine the dosage depending on your thyroid function. Sometimes however, the thyroid is sluggish and not yet out of range. In these situations, one would opt for natural treatments to increase thyroid functions. Alternatively you might be on thyroid medication however remaining struggling with your weight and natural aids may boost your excising thyroid function. There are many ways to treat hypothyroidism naturally through dietary changes and other natural remedies. Find out how to start your journey below. A diet low in nutrient-rich foods, especially iodine and selenium (which are trace minerals crucial for thyroid function), increases the risk for thyroid disorders. The thyroid gland needs both selenium and iodine to produce adequate levels of thyroid hormones. Low zinc levels cause lower levels of thyroid hormones. Both hyperthyroidism and hypothyroidism may cause a zinc deficiency, which in turn, leads to a lower concentration of thyroid hormones. Certain types of B vitamins are essential in the manufacturing of T4, a major thyroid hormone, so you need to include it if you want to improve thyroid function. Researchers have discovered a strong link between low levels of vitamin D and thyroid disorders. A healthy balanced diet will aid in providing these nutrients however might not be enough. I would usually like to test the blood levels of these nutrients to ensure that they are in range and if not to treat deficiencies that may worsen the funtioning of the thyroid. Stress impacts hormones and is known to worsen inflammation. Stress can raise levels of cortisol and adrenaline, which disturbs neurotransmitter function and worsens symptoms of thyroid disease. These include low energy levels, poor mood, low concentration, disturbed appetite and weight gain and the inability to get restful sleep. Stress management will help with the symptoms related to thyroid disease. Ashwaganda is a natural remedy also known as an adaptogenic herb. It is the Nr 1 herb you need to heal the thyroid and adrenal tissues. Adaptogen herbs mean they help you adapt and deal with stress, and ashwagandha has been used for thousands of years in Chinese medicine. Other adaptogenic herbs can include things like rhodiola, ginseng and licorice root. All of those are adaptogen herbs, but ashwagandha may be the most effective at naturally supporting overall thyroid health, especially as a natural treatment for hypothyroidism and Hashimoto’s. Natural thyroid regulation involves selenium-based proteins helping with the regulation of hormone synthesis. They convert T4 into T3 and help with your body’s metabolic regulation. Because metabolic regulation is the business of the thyroid gland and dependent on healthy, natural thyroid regulation, optimal selenium intake should be a priority. Selenium also helps with the regulation of your body’s iodine stores. Ask your dietitian to check your selenium level at your next consultation. Low zinc levels cause lower levels of thyroid hormones. Both hyperthyroidism and hypothyroidism may cause a zinc deficiency, which in turn, leads to a lower concentration of thyroid hormones. Zinc level should be tested and checked when thyroid function is assessed. Certain types of B vitamins are essential in the manufacturing of T4, a major thyroid hormone, so you need you include it if you want to improve thyroid function. Specifically: thiamine (Vit B1) and vitamin B12. Thiamine and vitamin B12 are two B vitamins that can actually improve thyroid function. If somebody is on a vegan or vegetarian diet, they might be deficient in Vitamin B12 and also are likely to be deficient in thiamine. As with the other nutrients needed for proper thyroid function, B vitamins can also easily be checked when blood is taken. 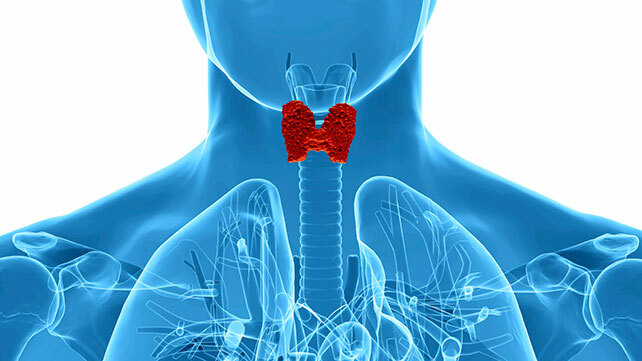 Iodine is probably the most important trace element needed for natural thyroid regulation. It is the building block of the thyroid hormones which are essential for supporting all your body tissues. Probiotics are good bacteria that are critical for digestive function. In fact, thyroid conditions have also been linked to a health problem called leaky gut syndrome. Leaky gut is where a protein like gluten can leak through the gut, get in the bloodstream and cause inflammation throughout the body, but also it can cause inflammation of the thyroid gland. Thus healing the leaky gut is important and probiotics are the best supplement for that. Researchers have discovered a strong link between low levels of vitamin D and thyroid disorders. It is very important to have your blood level of vitamin D tested and to establish the dosage you need for increasing or maintaining your level of vitamin D. Each person is different and there is no such a thing as a daily dosage for all. 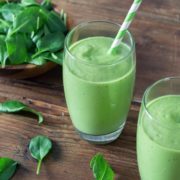 Enzymes reduce inflammation, especially if you have an autoimmune-related thyroid condition like Hashimoto’s disease; taking proteolytic enzymes like bromelain can benefit thyroid health by reducing inflammation of the thyroid.